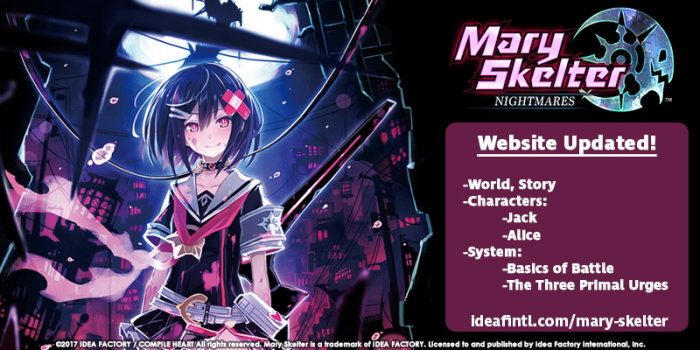 Lose yourself in the world and story of Mary Skelter! Get acquainted with Jack and Alice as you learn about the Basics of Battle and The Three Primal Urges of the living Jail! Mary Skelter: Nightmares is coming to the PlayStation Vita this Summer 2017!